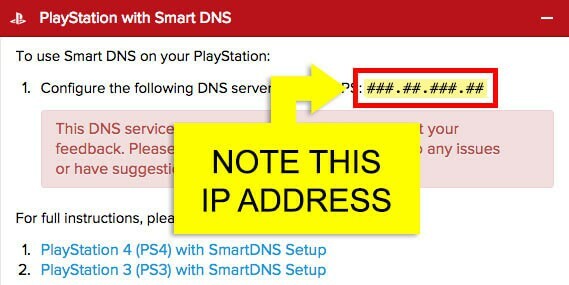 You need to obtain the Smart DNS server IP address to set up the DNS server on your PS4. First you need to open an ExpressVPN account of course. Then login with the login data that you’re getting sent by e-mail. If you are looking for the pros and cons of ExpressVPN in a review – click here. Now open the section which is called “PlayStation with Smart DNS”. There you find the IP address of the Smart DNS server. Take these numbers for the setup.